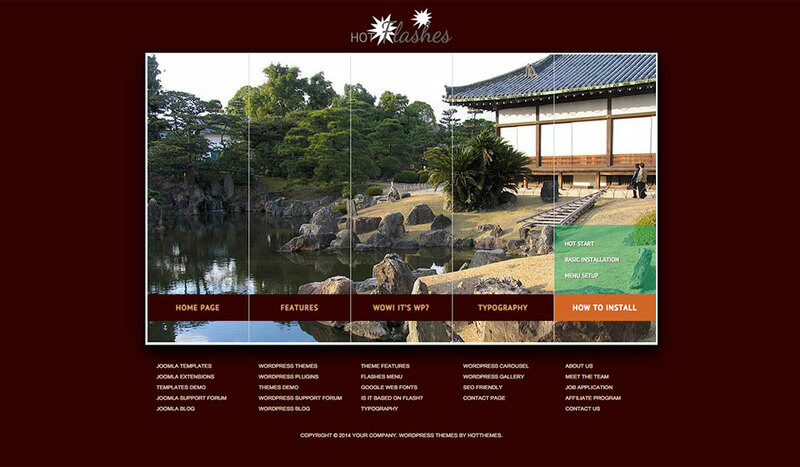 Is it possible to combine images slide show with WordPress menu items? 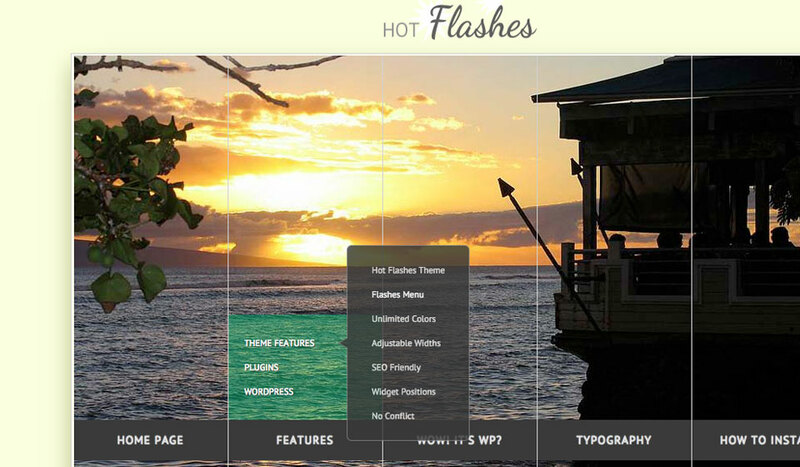 Lead by this question, we created this WordPress menu slider theme – Hot Flashes. It is functioning in an unique way. Each menu item is a part of the slideshow. It can have up to 2 levels of the submenu items. The home page of the WordPress menu slider theme is acting like the “intro” page to the deeper levels of your site. 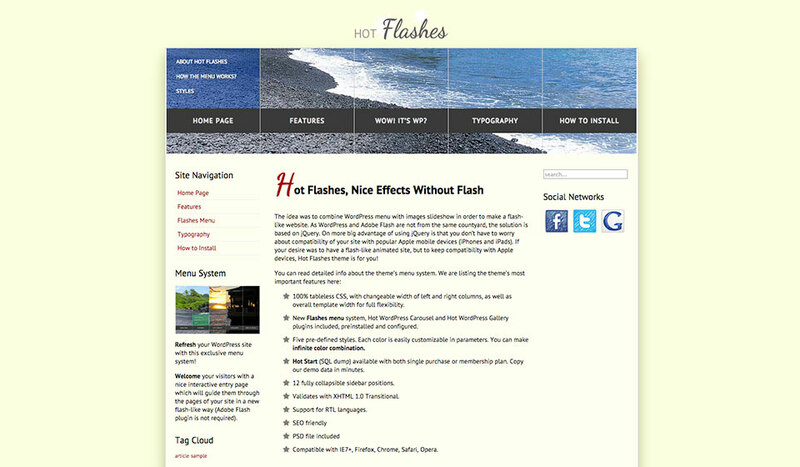 There are a lot of “flashy” effects (based on jQuery, not on Adobe Flash). 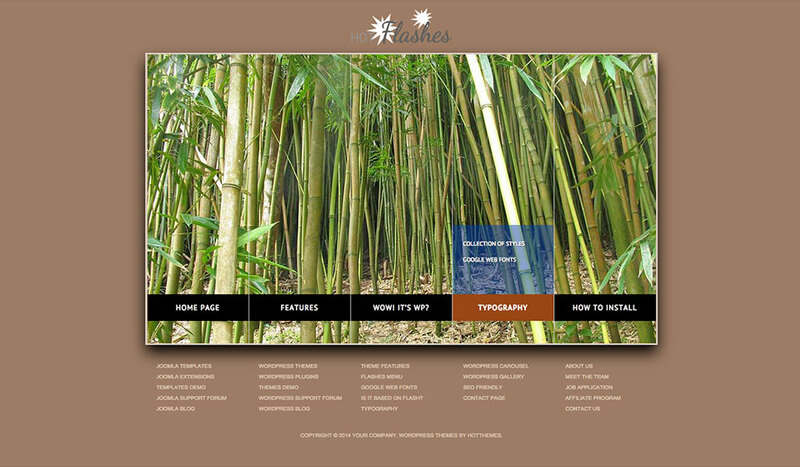 The big images define the main areas of your website. This theme is 100% compatible with all devices. This includes those devices that doesn’t support Adobe Flash (such as iPhone or iPad). 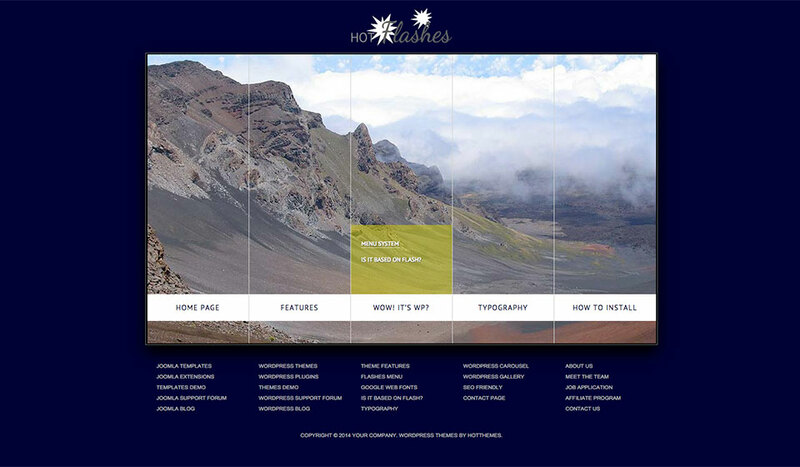 Using the HotStart installation method, you can copy our demo data directly on your server, and then just modify the site. 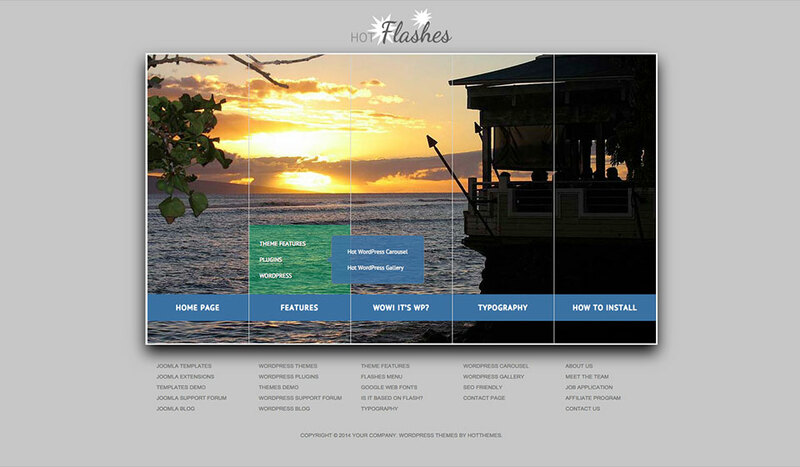 The WordPress menu slider theme has 100% tableless CSS, and validated XHTML code. The width of the left and the right columns is parametrized. 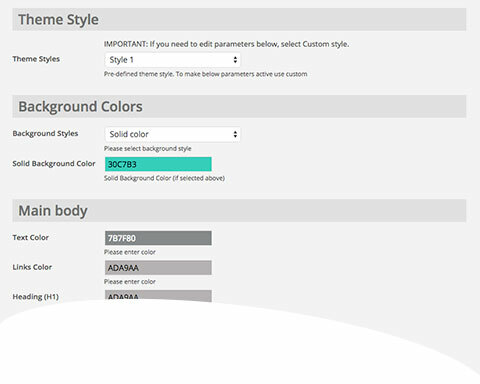 You can also change the overall theme width.